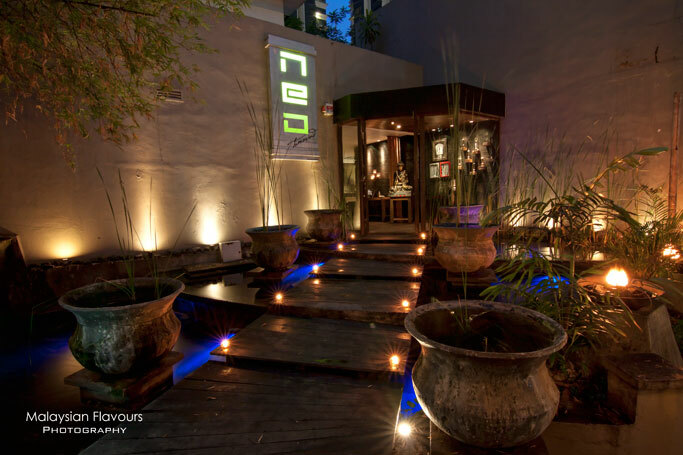 Ideally located in the heart of Kuala Lumpur, NEO Tamarind is a stylish luxe lounge style restaurant with an innovative concept. It sits on a hill like a lovers’ nest hidden by green foliage, highlighting a quiet elegant within the hustle and bustle of the city. 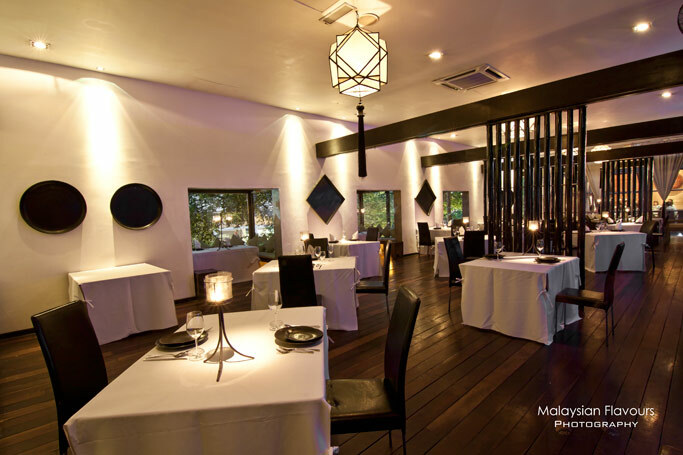 The interior in NEO Tamarind is rustic and dramatic, atmospheric enough to offer diners the illusion of being out of town. Liquid walls fashioned by the effect of water and lights is brilliantly stretched out, together with colossal chandelier, galactic bar and electro chill music to create a magnificence ambiance. 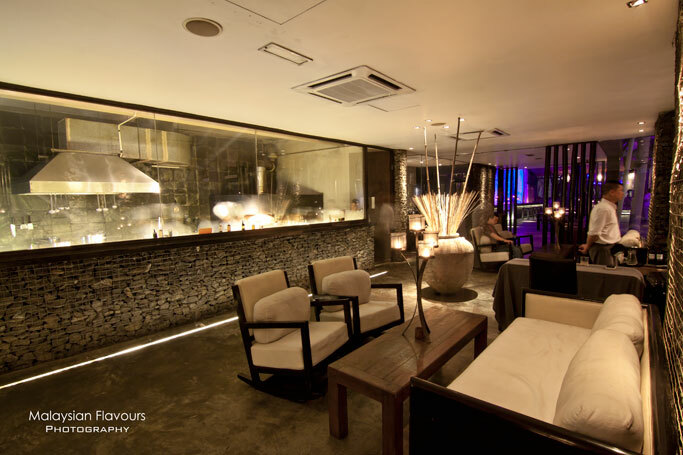 NEO Tamarind’s dining section is semi opened, divided into al-fresco dining and glass rooms. 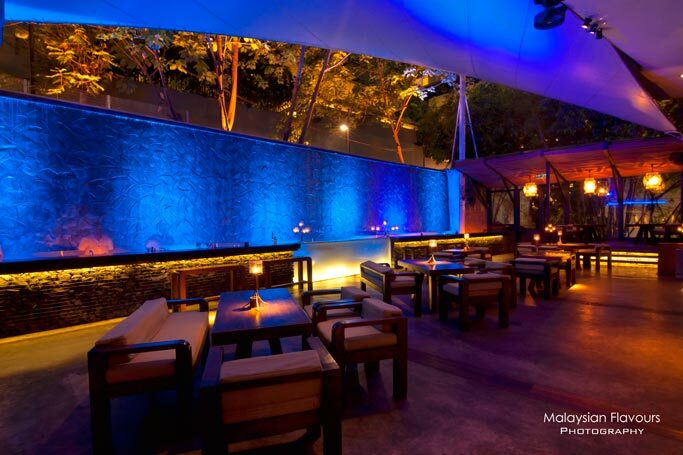 Spacious floor is decked with lounging spot, and long bar benches if guests planned to straddle for all night long. While the environment is splendid, selection of food is impressive too. 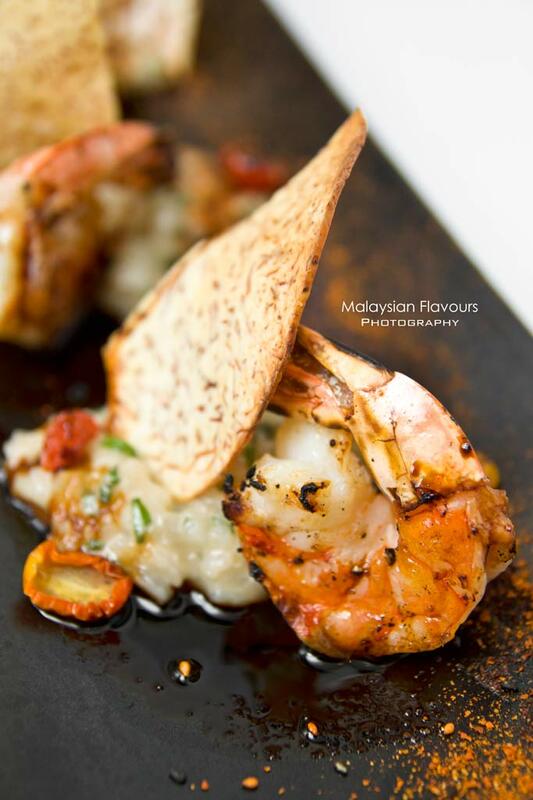 NEO Tamarind’s kitchen is led by Chef Sombat, an experienced chef from Thai who presents diners with interesting choice of unique “Tamarind” dishes – Thai, Indochinese and European picks reinvent with his own Asian twist. 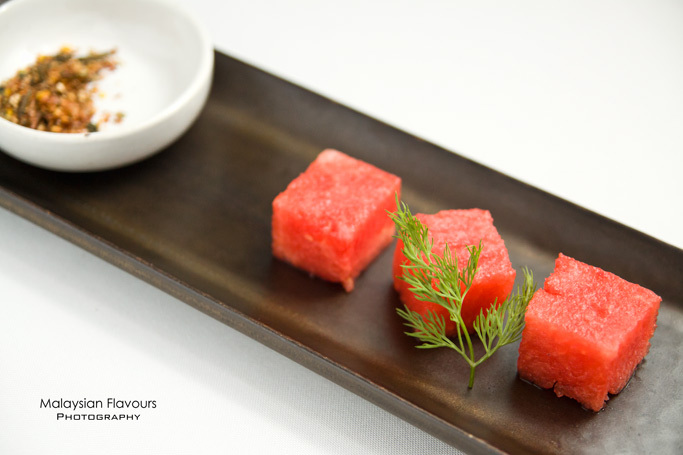 In fact, NEO Tamarind kitchen’s team creativity is seen right from the complimentary welcome starter- cubed watermelon is served together with a special powdery dipping that promotes a spicy, salty and herbs fragrance. Extra odd combination of sweet and savoury, but turns out incredibly good. Thumbs up. Continues with the basket of fresh bread comes with two types of condiments. 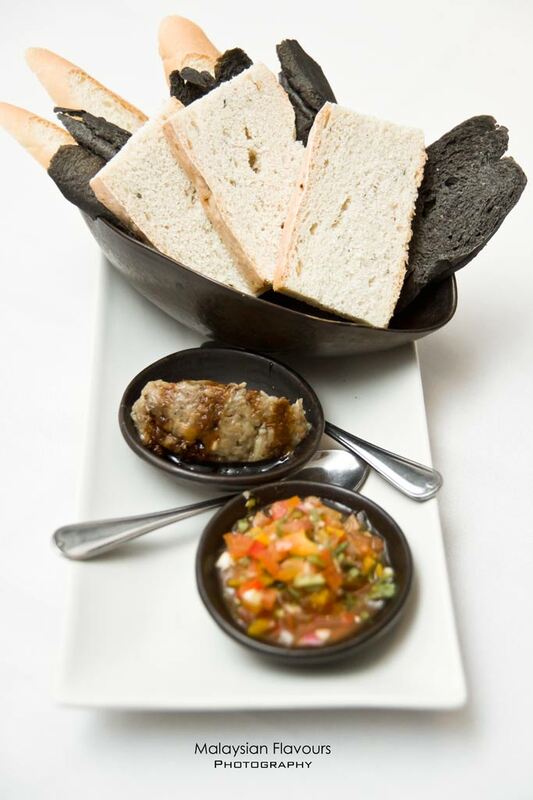 No, the black coloured bread is not charcoal, it’s squid ink flavour! Dippings are also one of its kind. Apart from the usual salsa sauce, we grow interest on the mushy, creamy gravy next to it. Well, it is actually mashed egg plant. 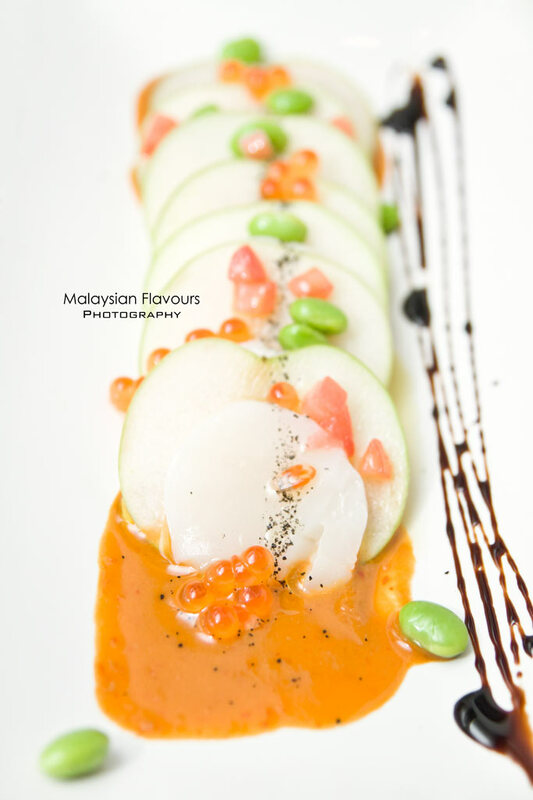 Fresh scallops and apple slices inter layer one another, introducing a semi-chewy and fruity crisp sensation that pairs well with the orangish sauce in bold spiciness and sourness. Drizzled with black ink salt, truffle oil Japanese soy bean and salmon roe for additional flavours and colours. 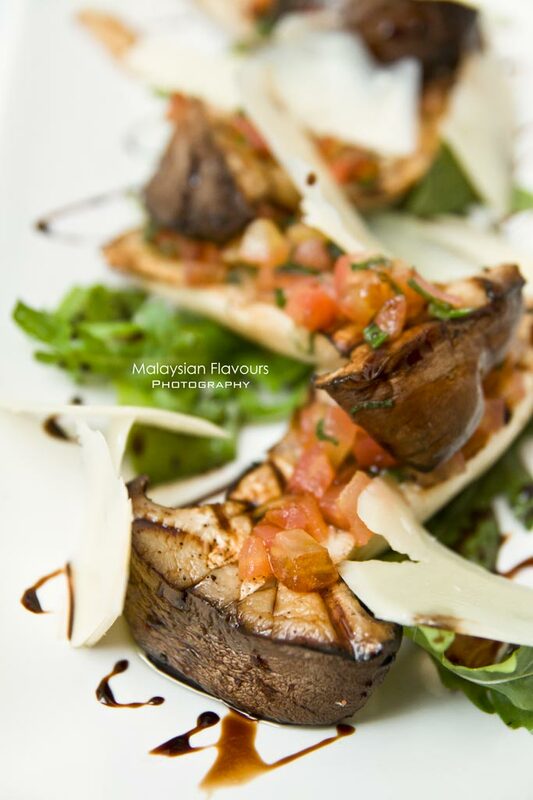 Thickly sliced king oyster mushroom served over a bed of rocket salad, topped with tomato confit and balsamic reduction. Loves the smoky and juicy munch complemented by a zesty sensation that whets the appetite. Vegetarian friendly. 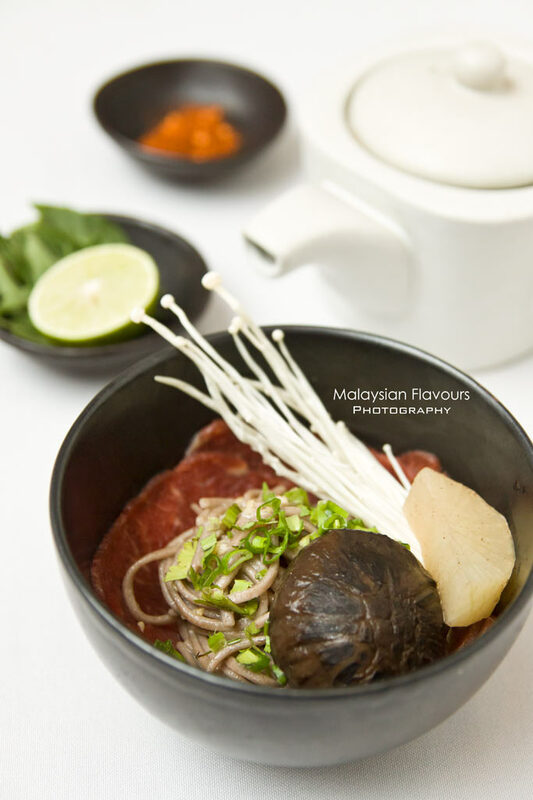 NEO Tamarind adds in a Japanese touch to this Vietnamese staple, having slices of wagyu beef in marbling 5 layered beneath Japanese soba. Warm the noodles and beef by pouring the brothy beef stock served separately, then squeeze in fresh lime and basil leaf for extra fragrance. Beef is so subtle, almost melt in the mouth. Quite a creative way of cooking the meat in inverted way of shabu-shabu. 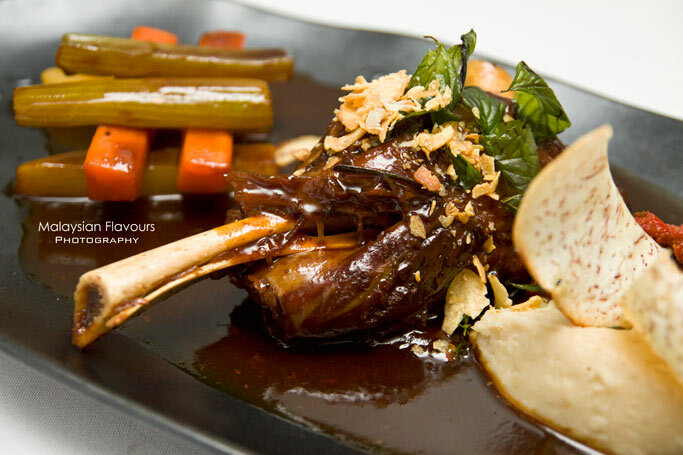 NEO Tamarind’s version of lamb shank goes through a bake and braise process for hours, resulting in fork tender meat that is deep in flavour, preferable if it could be softer. Comes with Ratatouille and coffee mashed potato. 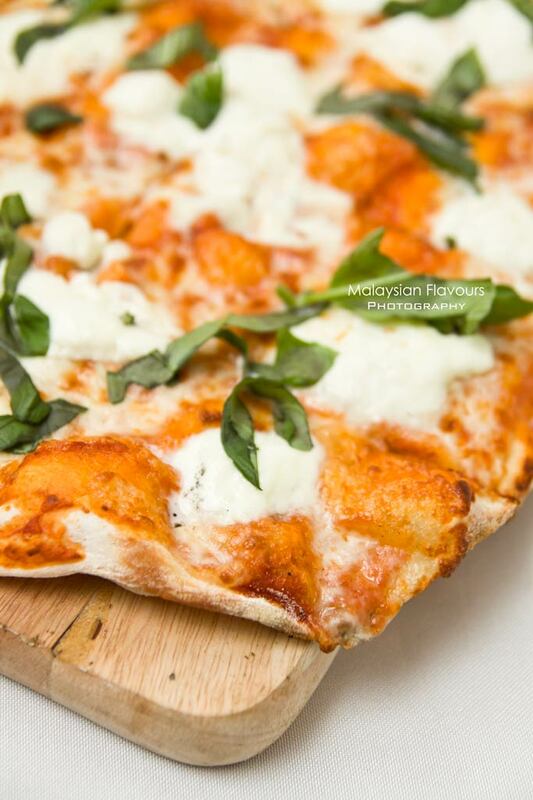 NEO Tamarind’s Homemade pizza crust spread with rich tomato sauce and generously topped with four types of cheese, namely Ricotta cheese, Mozzarella cheese, Buffalo cheese and Gorgonzola cheese. Worth trying for the superb crispy edge, soft center pizza base. 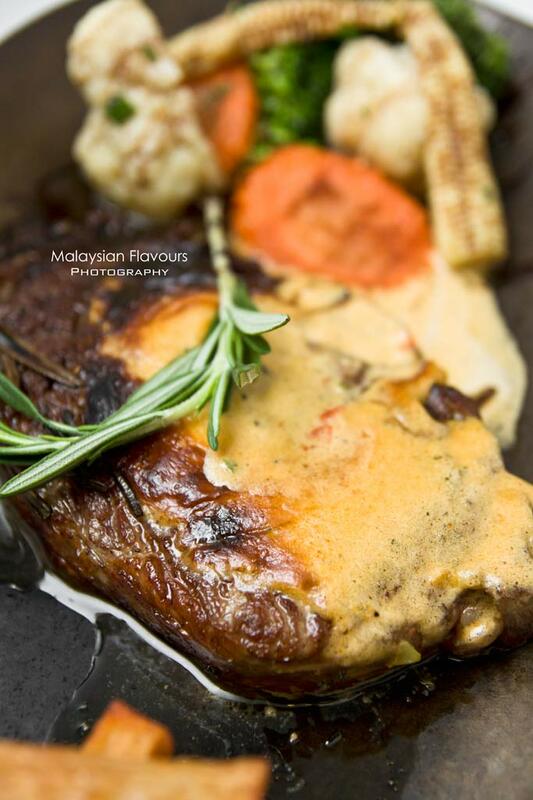 Succulent with a natural juiciness, buttery texture, the rib eye full fill the requirement a steak had to offer. Lemon wedges and arugula salad are served along to sum up a complete, coveted dish. 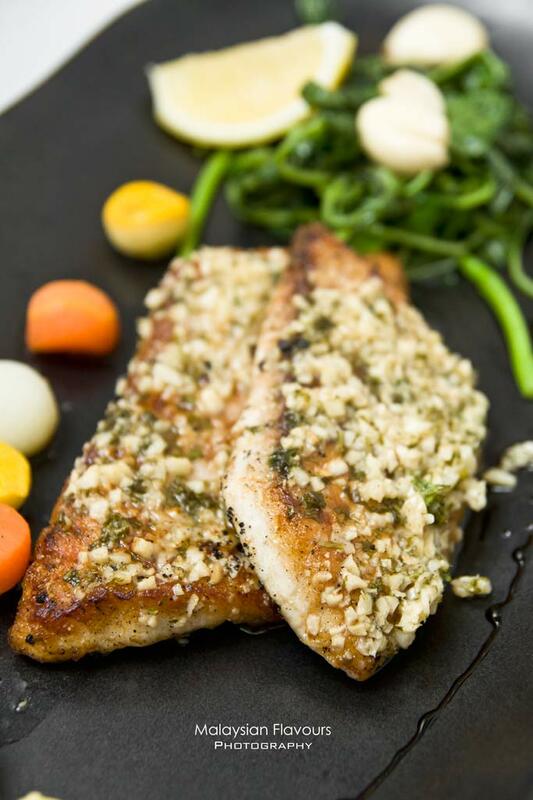 Sole baked in firewood oven, smothered with lemon garlic butter and sided with sautéed spinach. 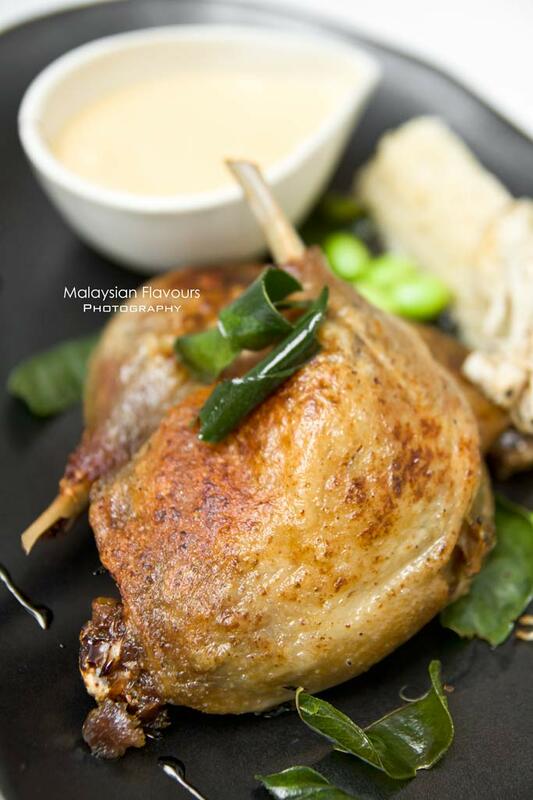 It is a surprise to come across duck confit in NEO Tamarind menu, and it tastes fairly good. The chef prepares the dish in traditional way, using the “duck legs cooked in duck fat” concept which is centuries old. It takes time, complicated, but result is fantastic. Hence there is a reason why the duck confit is priced higher. Risotto served with air dried cherry tomato and teriyaki sauce, creating a salty, tangy hint within creaminess. 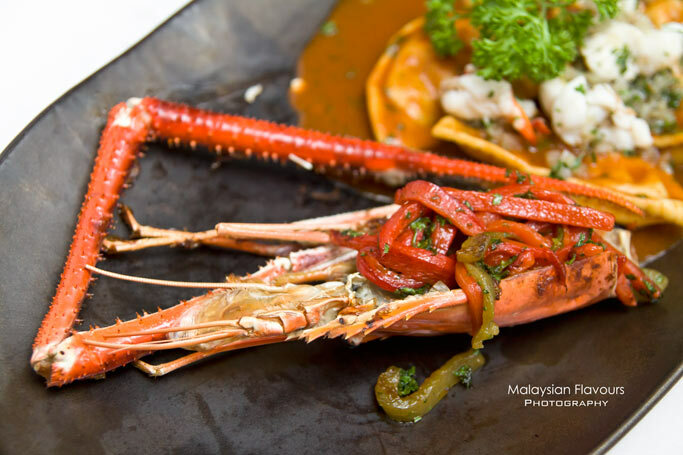 Tiger prawn is huge, grilled to perfection with slightly charred surface yet remain a fresh bouncy texture. 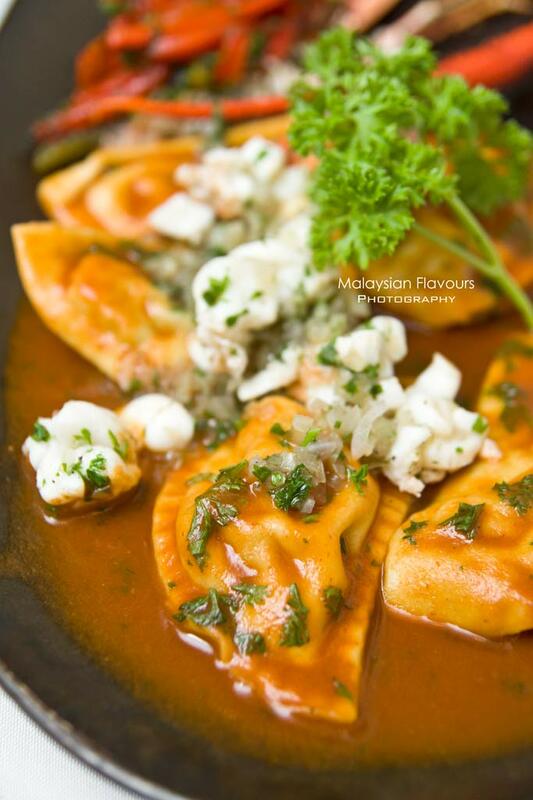 The homemade ravioli is wrapped with lobster, cooked in lobster sauce and garnished with more lobster. 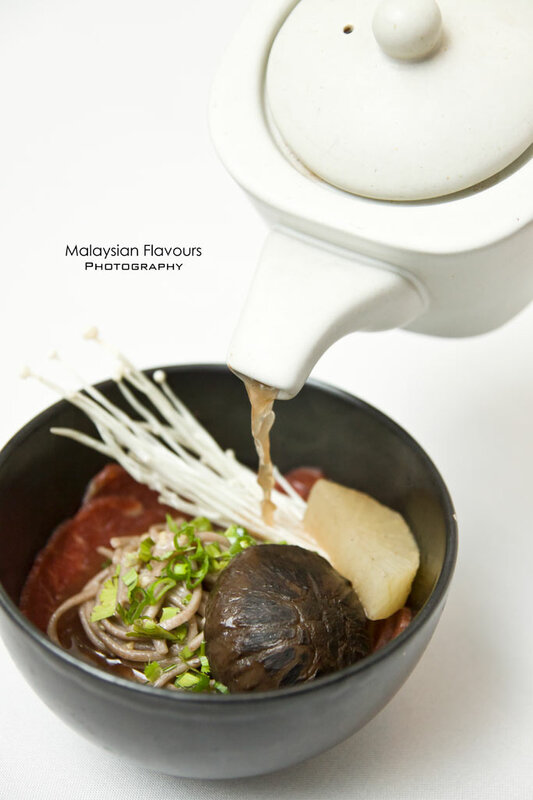 So flavourful, umami loaded. Definitely a delightful “lobster inside, lobster outside” dish. 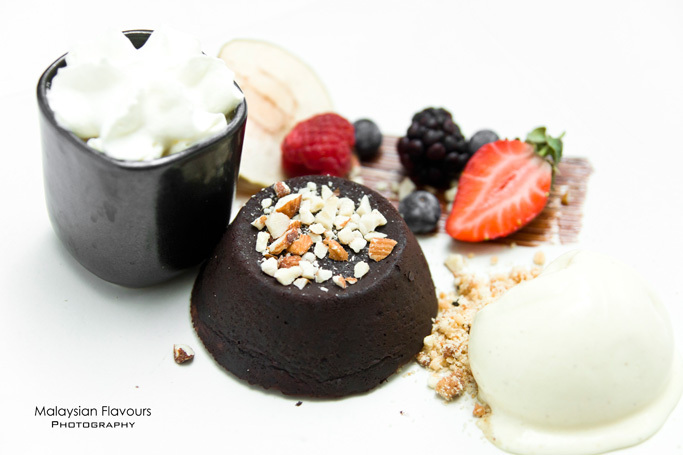 The meal finally comes to a sweet end with warm chocolate cake, a marvellous dessert that doesn’t disappoint us! 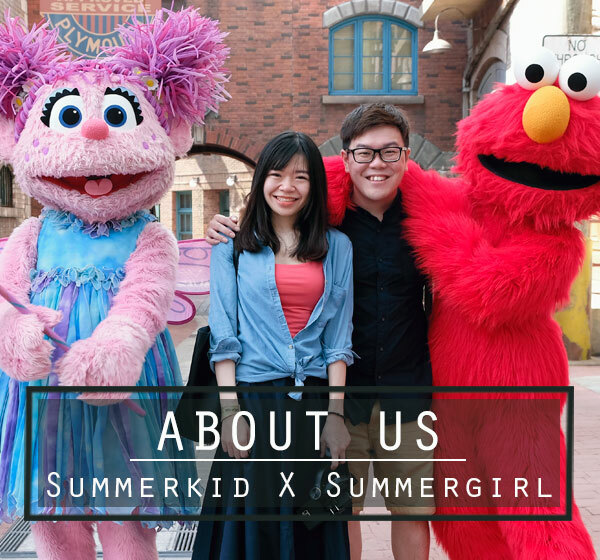 Summergirl finished the whole cake on her own despite feeling so stuffed. It is so rich, moist and chocolaty with warm milky chocolate oozing out from the center. Have it with fresh cream or vanilla ice cream or fresh berries, taste equally good with all. Highly recommended!